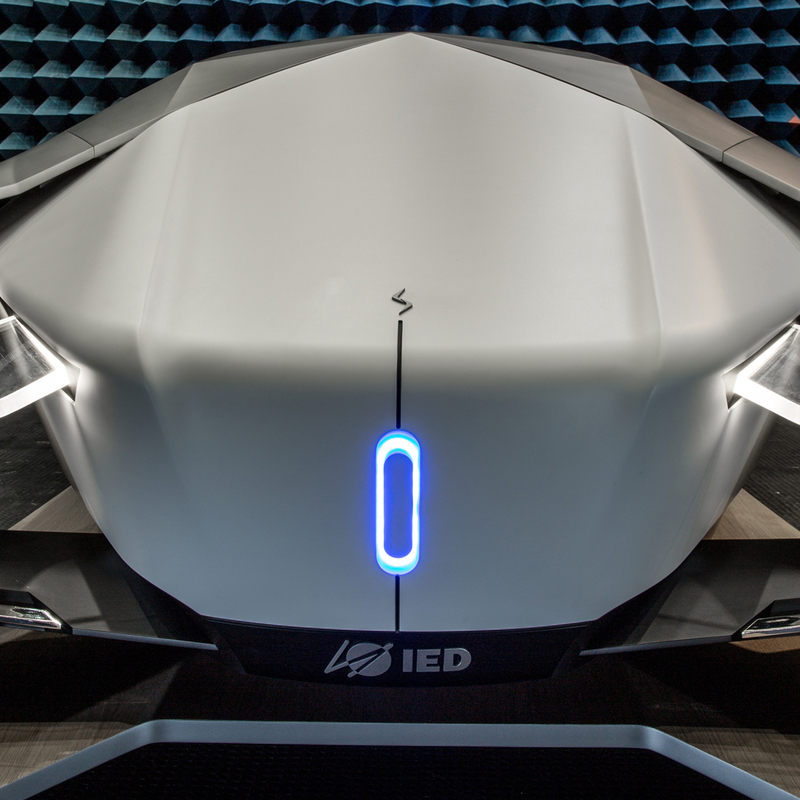 SHIWA (4,700mm long, 2,000mm wide, 1,500 high and with a 3,660mm wheelbase) is a noiseless zero emissions self-driving vehicle with four seats and four electric motors integrated in the drivetrain. Shiwa – a Japanese word meaning “fold” – indicates the form/action able to transform a surface without resistance into a self-supporting object, as in origami: the fold gives form and function to a surface which otherwise would lack them. This is the basic concept starting from which the Korean student Youngjin SHIM drafted her project, which was then developed by a team composed by her and eleven other Master students, including the Italian Luca MENICACCI and the Indian Jaykishan Vithalbhai LAKHANI. The external structure of the concept is inspired by the fold/origami idea. 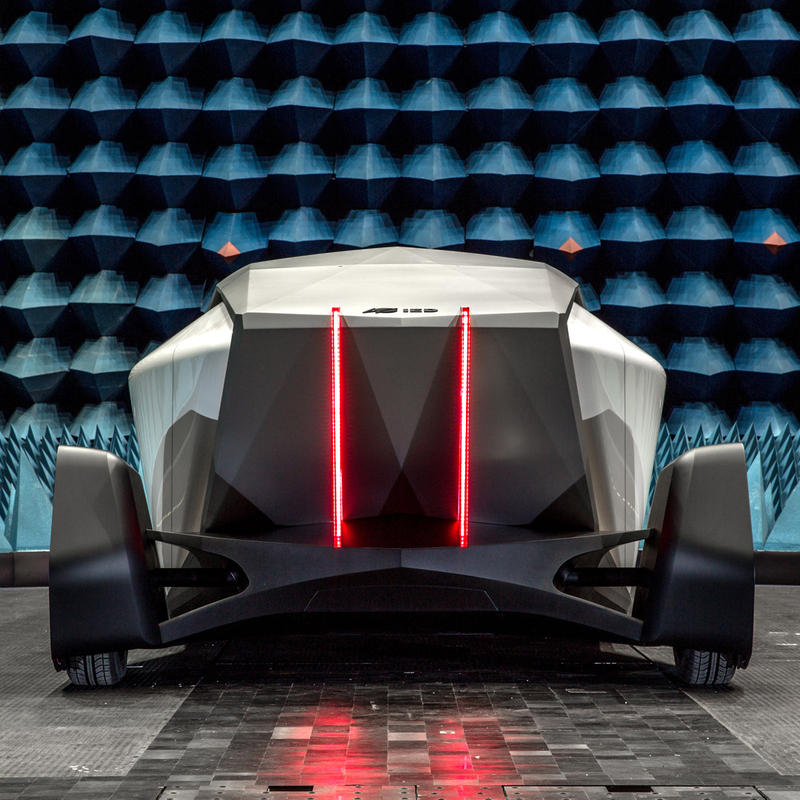 The drive system is AWD (All-Wheel-Drive) and uses 4 brushless motors mounted directly on the wheels, a totally electric power unit allowing the car to move with no emissions whatsoever. 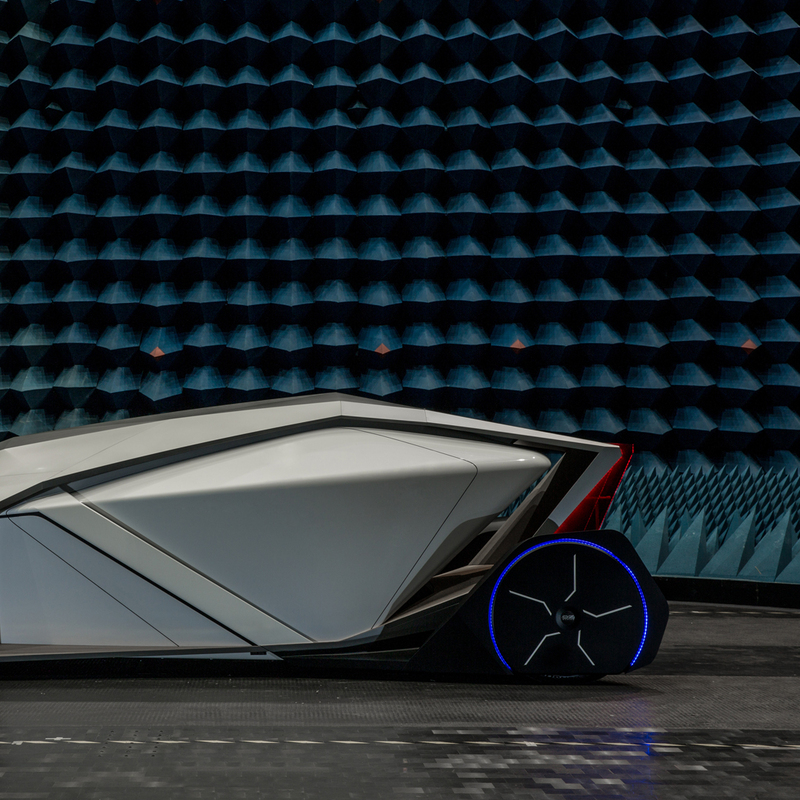 Shiwa is an IICV – Individual Identity Companion Vehicle: it learns the identity, interests and habits of its occupants, it recognizes their features and adapts its behaviour to circumstances and to passengers. Among its features there is a fingerprint keyless entry system: this way keys are no longer needed because the car recognizes its owner. 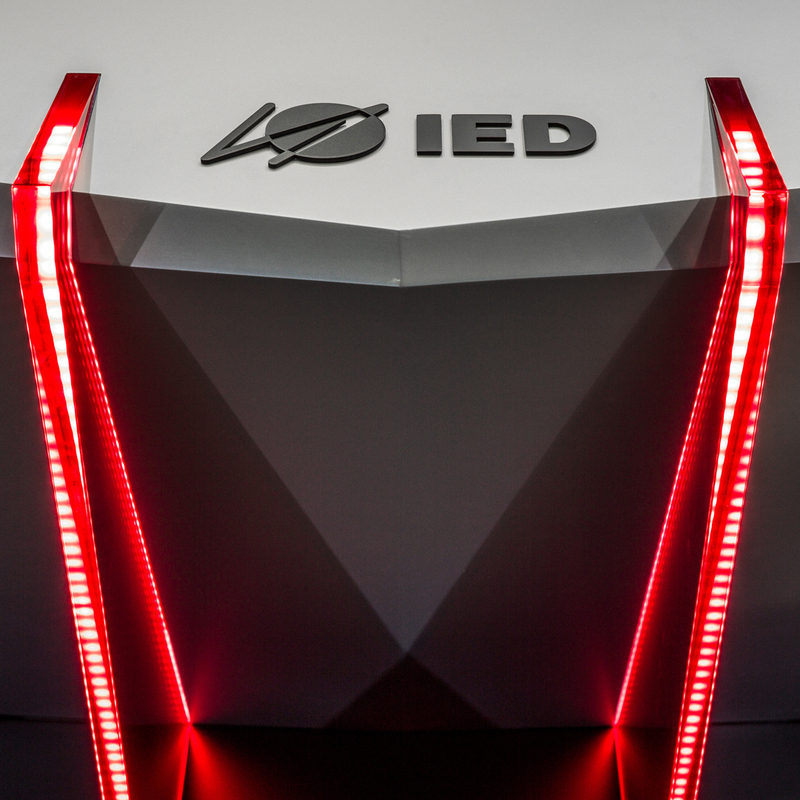 Shiwa also features full-LED headlights and a front OLED display indicating the charging level of the car and allowing the opening and the insertion of the charging plug-in. The project is the result of a creative process involving students in a process replicating that of a contemporary automotive design centre. All Master’s students submitted an individual proposal; the projects better able to answer the initial brief for the interior or exterior area were selected and combined for designing the final version. The class then created a core work team which completed the final full-scale concept design. 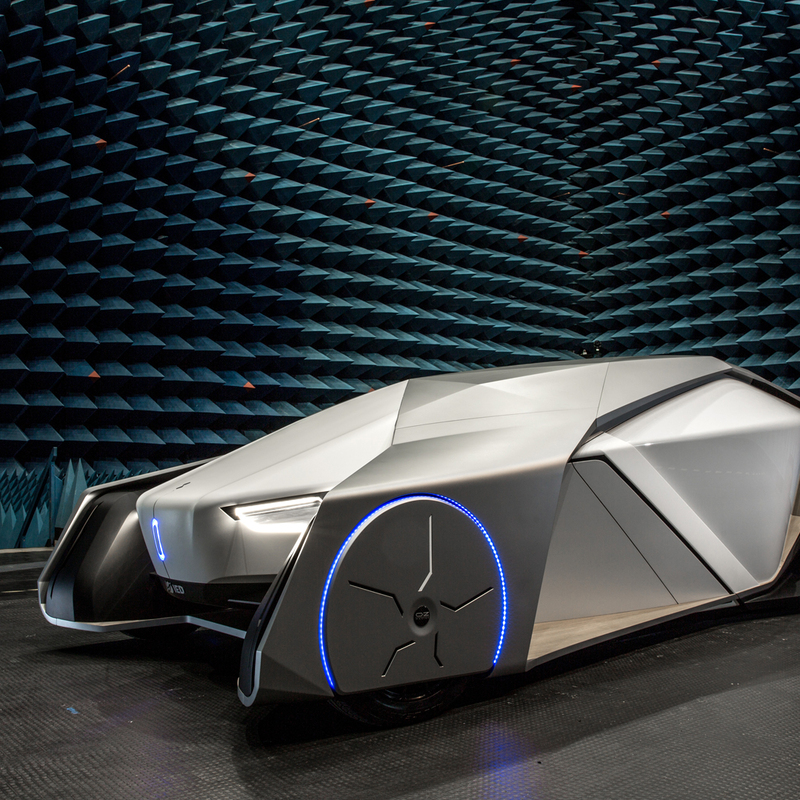 The show car was realized by Cecomp, for over 30 years the European leader in the production of models and prototypes, which has always cooperated with the Institute in the prototyping process. The SHIWA project was also supported by consolidated technical partners among which: Newcast Services, Model Resine, OZ Racing, which in 2016 celebrates its 45th anniversary, and Pirelli, always committed to seize the technological challenges of the automotive world. Shiwa was conceived by: Youngjin SHIM (Korea); Luca MENICACCI (Italy) and Jaykishan Vithalbhai LAKHANI (India), Chen LUJIA (China); Charles Frederic Nestor CARRUPT (Switzerland); Mikhail D. SOUZA (India); Qichang LI (China); Kejin PAN (China); Alparslan TURHAN (Turkey); Gaurav UDAVANT (India) and Honghu ZHANG (China), Jose Ignacio MARTINEZ FLORES (Ecuador), students of the Master in Transportation design at IED Turin a.y. 2014/15. Other contributions to the project: Alessandro Cipolli, Master in Transportation Design Coordinator and Davide Tealdi, IED teacher. The project was carried out under the supervision of Fulvio Fantolino, Coordination of Transportation Design.